This is a great drink to sip on when you start to feel that little tickle in the back of your throat. That tickle that makes you think, "Oh no! I'm getting sick!" I've been using turmeric and honey to soothe a sore throat since my mother started giving it to me as a kid. Turmeric and honey are antiviral and antibacterial so it makes sense that it could help to ward off sickness. Lately I've been taking these ingredients in the form of this tea. Add a little lemon juice (for vitamin C) and a slice of ginger to ease a queasy tummy. Make the flavors a little more mellow with some coconut milk which may also add some calories. 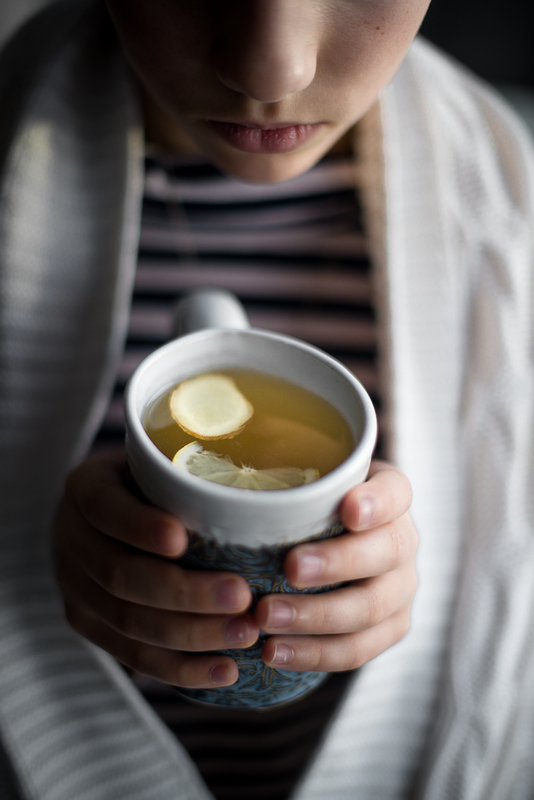 This drink may take a bit to get used to but after a while it may become your favorite sipper during cold and flu season. Place warm or slightly hot water in a cup and add remaining ingredients. Stir gently in between sips as the turmeric has a tendency to settle. 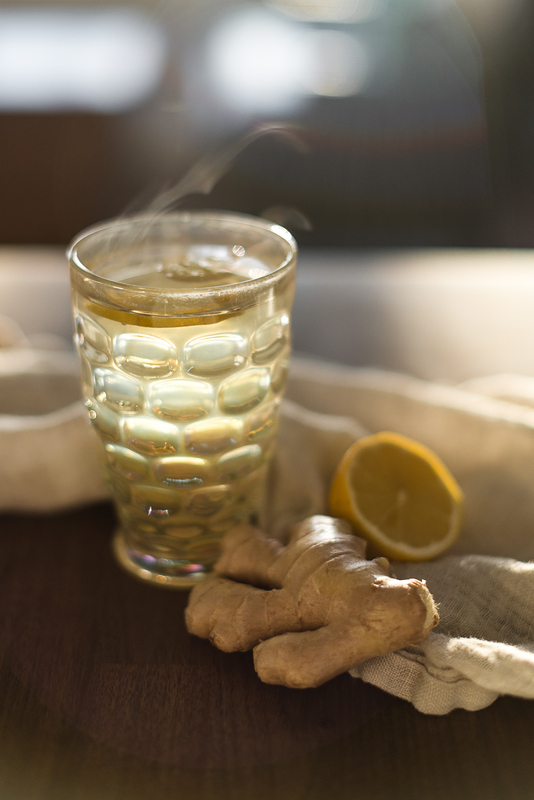 Let the ginger steep in the warm water while you sip.